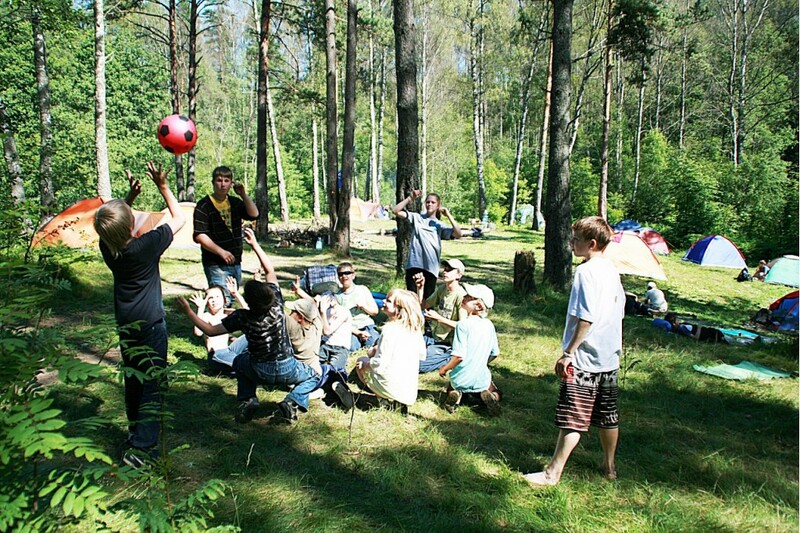 Kiy-Biy is an active camp for those who cannot sit on one place, because there is simply no free time in this camp! A rich program, sports, creativity, and useful, versatile and educational activities-this is a plan for every day. 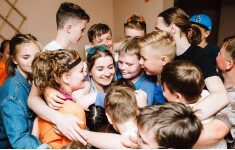 Comfortable living conditions, good food, professional and attentive trainers-counselors — guarantee of safety and ensure every child a great, unforgettable holiday! Children live in comfort brick two-storey hotel building, in single and double rooms (3-4 people in the room) with all amenities (toilet and shower in each room). The territory is fenced and guarded. On campus there is a medical isolator. Round the clock medical care. 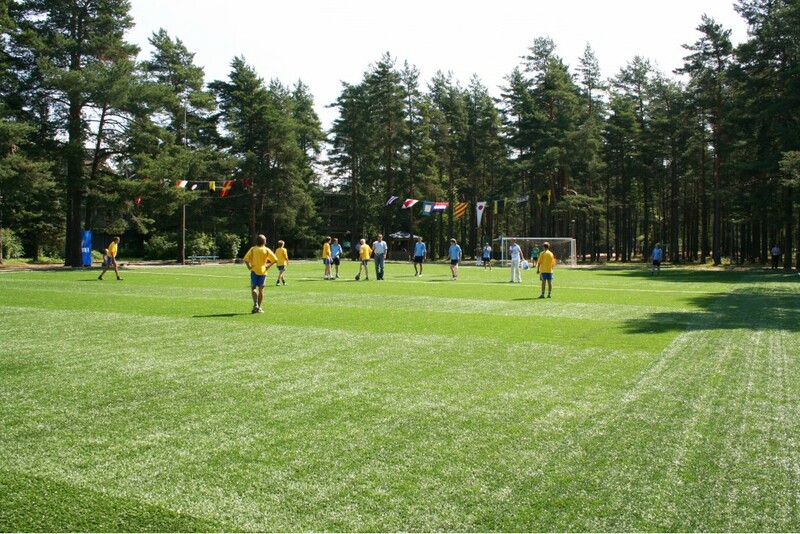 Every day there are training sessions in the gym and in the open air, which include physical development, breathing exercises, learning self-defense techniques, original games and relay races, football, volleyball, basketball, training shooting from an air rifle , a pistol, a crossbow, Russian and American billiards, table tennis, shooting range. 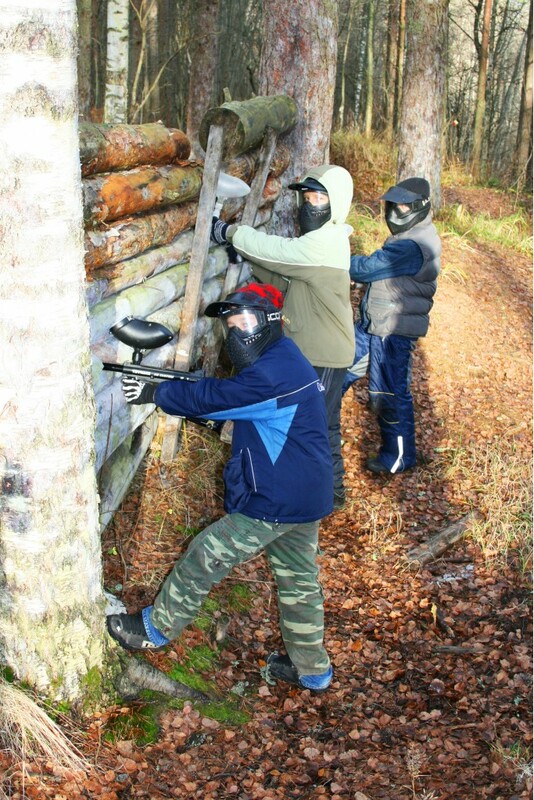 paintball - in the fall, in the spring (at + t) and in the summer - every day (at least 15 game battles for shift). Traditionally, at the end of each shift there is a sports holiday " OLYMPIAD " with prizes & gifts! * Only AUTUMN AND SPRING! outerwear: jacket (windbreaker), hat (panama, hat, cap), sports suit (for training and wearing), sweater. Прекрасный пед состав с большим опытом, ребенок в восторге, интересная программа. Алиса Николаевна, спасибо Вам больше за такую высокую оценку! Ваш сын открытый, позитивный ребенок! Будем рады увидеться снова! Ребёнок доволен ,а это главное. Дарья, большое спасибо за положительный отзыв о нашей работе! Будем скучать! Всегда Вам рады! Спасибо огромное, ездим не первый год, и ребёнок всегда в восторге, в этот раз, при выходе с автобуса, первые слова ребёнка были: «Мам, а можно летом тоже сюда поехать?» Считаю, что это самая высокая оценка лагеря, если туда хочет вернуться подросток 13 лет. Всем рекомендую. Очень хочется поехать на программу ещё. Надежда Владимировна, спасибо! Вы правы! Для нас это действительно самая высокая оценка!Приезжайте ещё! 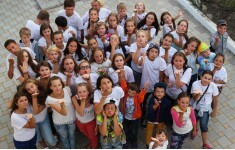 Wonderful camp! 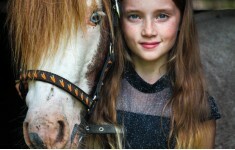 Our daughter is not a standard child, so the choice of the camp was treated very meticulously. Congresses initially met with teachers. Warned about our "features". Wonderful professionals! Daughter (9 years) did not want to leave. 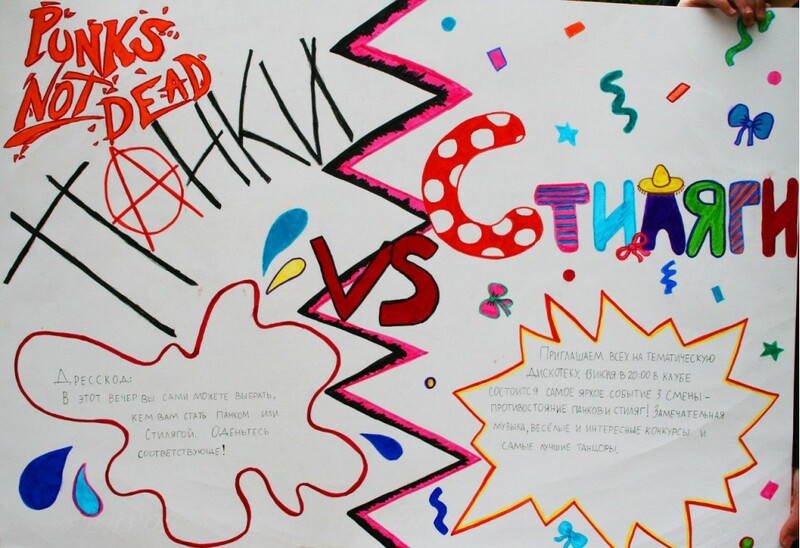 During the week of vacation we were helped to cope with a number of psychological difficulties! The child has returned a new man! I had to bring warm shoes, asked to show the room. The rooms are warm, clean, good expensive furniture, a small "kitchen", beauty and comfort; the girls were all clean (despite the weather), neatly braided, happy and contented. Special thanks to Ekaterina, who we bothered with calls and questions, for patience, understanding and tact! 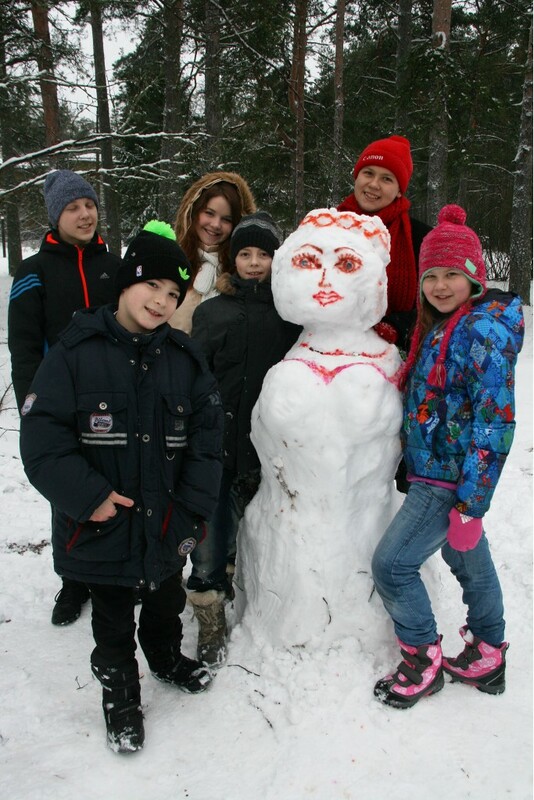 Alexey Mikhailovich, if you only saw how he gets along wonderfully with children of all ages! My daughter arrived with a wonderful mood! 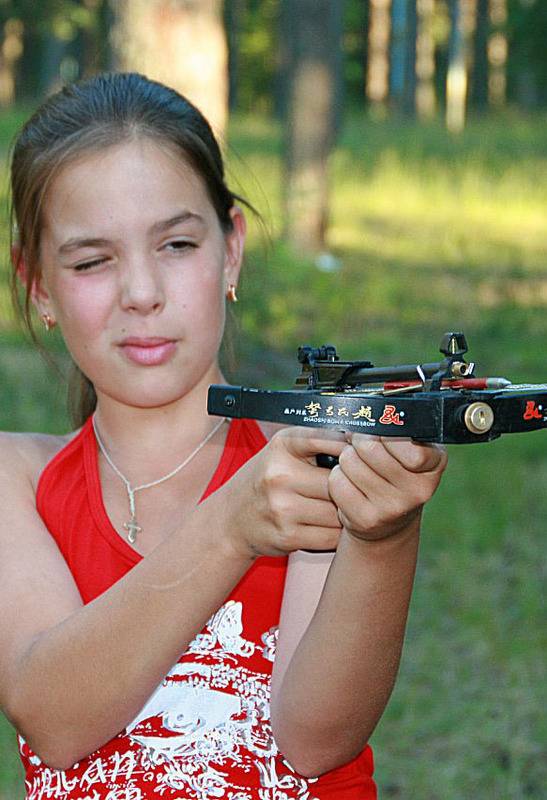 She learned new "techniques" of self-defense, participated in contests and master classes. About food: they were fed a lot and very tasty🙏 They were given an "additive". Older girls and boys help "kids", took care of them. PS: another special thanks: the child forgot his phone and a piece of clothing. They called us and gave everything away 🙏😘❤️💕 the best camp !! See you in the summer. There were no drawbacks ... it is a pity that such a short vacation. Olga, thanks for such a detailed, positive review! With your child is very nice and interesting! I sent my daughter to the spring shift for the first time, based on good reviews about the camp. She liked everything very much, a lot of activities - clubs, classes in the street and in the hall, paintball, discos, concerts, competitions, even competitions from the Ministry of Emergency Situations. The daughter says she was busy all day, there was no free time. The accommodation was the four of us in the room, everything is quite cozy. Asking for the summer shift only with "Kiy Biy", for me this is an indicator. I liked very much that every day there were photos in the VC group about how the day went and you could observe the happy face of the daughter and what she was doing. Xenia, hello! We are very glad that you liked it here! Thank you for stopping at the program! Of all of the declared, only paintball on the spring shift does not fully play (with snow and negative temperatures is impossible). 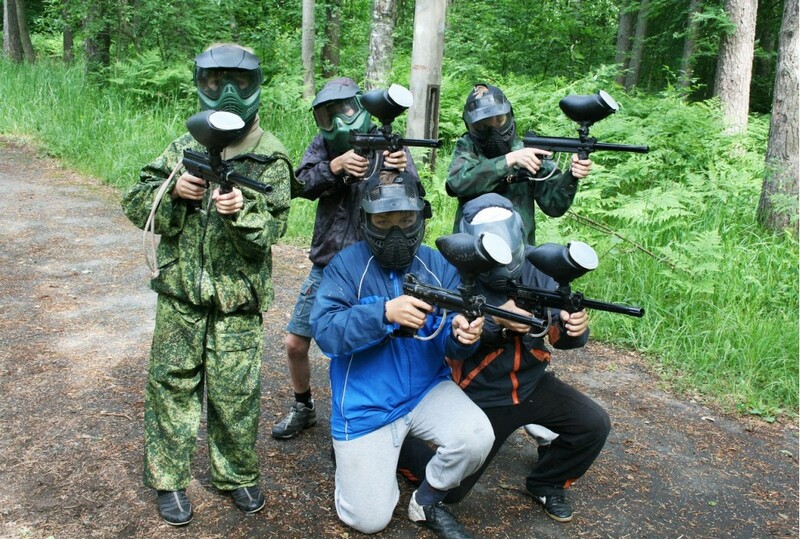 In the summer, an even richer program and paintball every day, so come for sure! We will be very happy to meet again! Location (pine, fresh air). Territory (there is a stadium, but there is no common fence around the camp). Partially program (all was not executed). The instructor is always in touch and very positive. Take away mobile phones. Old case (we got this). 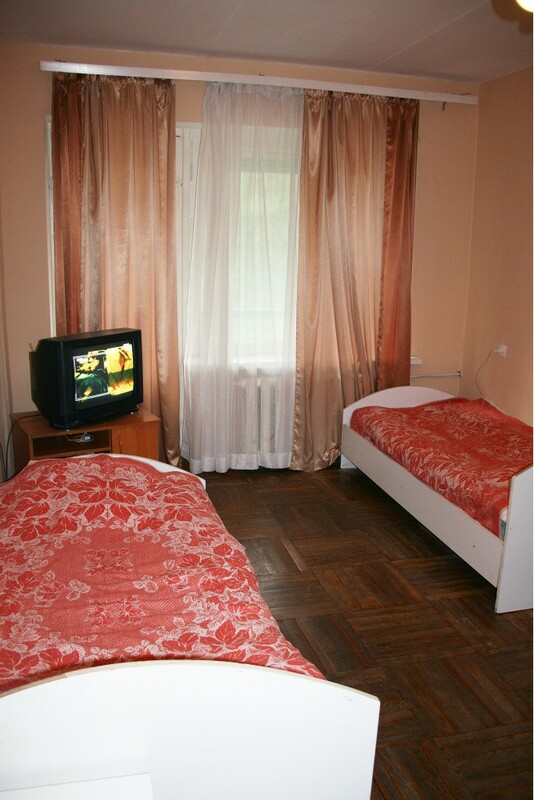 Accommodation in small rooms. Very old furniture, the room smells damp, there is no repair, water flows in the bathroom, there are no towel hooks. Control of hygiene standards was weak. Meals are scarce, there is little fruit, the range is very modest. Светлана Ивановна, благодарим за отзыв! Жаль что не на все 100% Вам всё понравилось. Согласны с Вашими замечаниями по поводу не очень новой мебели и сантехники. Обязательно передадим их руководству "Маяка". А вот по поводу санитарного состояния, позвольте с Вами не согласиться! Горничная делает влажную уборку каждый день (моет тщательно и добросовестно), ответственный за сан.состояние помещений проводит проверку ежедневно. Как ребята наводят порядок в своих комнатах тренеры проверяют 2 раза в день и ставят оценки . По поводу забора вокруг всего лагеря: он есть! Территория огромная , возможно он не везде на виду. Очень рады, что Вам понравилась программа и инструкторы! Надеемся, что и ребенку понравилось! Ждём Вас снова! Good afternoon, I liked everything very much. The child came very happy. Thank. The child liked it, wants to go next time. Brought diploma for active participation. Not justly received a comment from the educator. The teacher did not understand the situation and blamed the child. I really liked the children in everything, just no words! Teachers are professionals and amateurs of their business, they love children, and this is important, thank you very much! Thank you for such a high appreciation of our work! Always waiting! Daughters liked everything, wants to return to the camp. I can not say anything, no complaints. Ольга Валерьевна, спасибо Вам большое за отзыв!!! Ждём Вас снова! I didn’t like the conditions of accommodation, some buildings require major repairs, children have a lot of time left to themselves. The issue of using cell phones is poorly worked out; they were withdrawn only for the night. In general, the camp for already large and independent adolescents, nobody especially watches the younger ones and does not deal with them. Counselors in my even instructing do not pass. In general, the impression left. Large territory. Convenient to reach; good organization of leisure for children. Poor quality of mobile communication. Наталья Валерьевна, спасибо за высокую оценку! Будем рады увидеться снова! Excellent accommodation conditions (this was decisive when choosing a camp) - 4 people settled in rooms with a shower, TV, balcony and kitchen. Children were provided with a hairdryer, which was important for us, because our daughter has long hair. 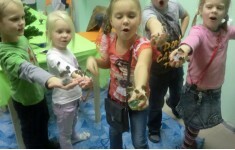 Attentive attitude to children, an interesting program. There were no obvious shortcomings. The child liked everything. Юлия, спасибо за такой развернутый и положительный отзыв! Ждём Вас снова! The child is happy, asks for the next vacation here, for me this is the main indicator. My son is 10 years old, he was worried when sending that he would not find peers or like-minded people, but everything happened in the best way. 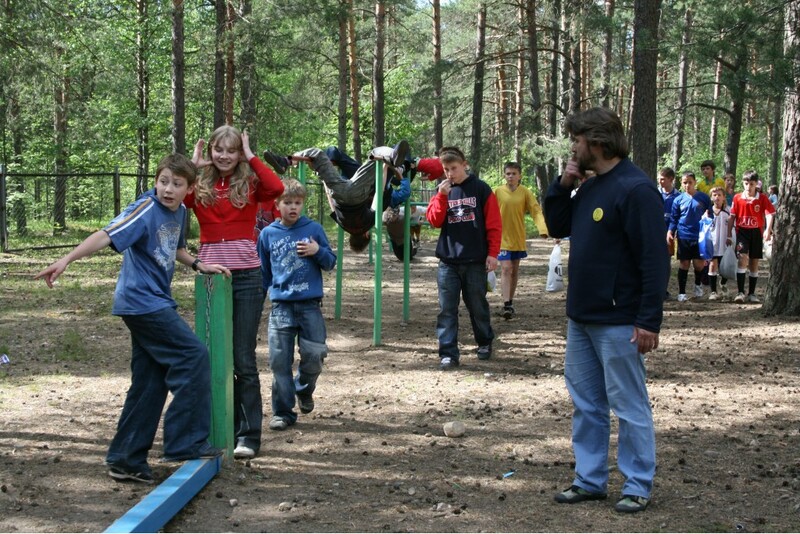 This is a camp for active children in the first place. It is felt that the children here are engaged, and I consider this the main advantage. The food is good, the child did not eat everything, but he does not eat at home either. Accommodation in separate apartments for four people. In ours there was a separate kitchen, a shower room, a toilet and a closet. I consider this more than sufficient. Yes, the furniture is not new, but it does not fall apart either. The camp itself has everything you need for rest and time for the transfer of children. In my opinion they are not, you can write small nitpicking to the state of shells, but I do not consider it necessary. Роман, спасибо большое за такую высокую оценку нашей работы!!! Приезжайте ещё!!! 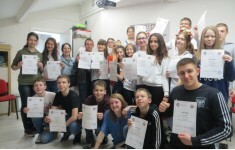 Many thanks to the organizers of the camp! 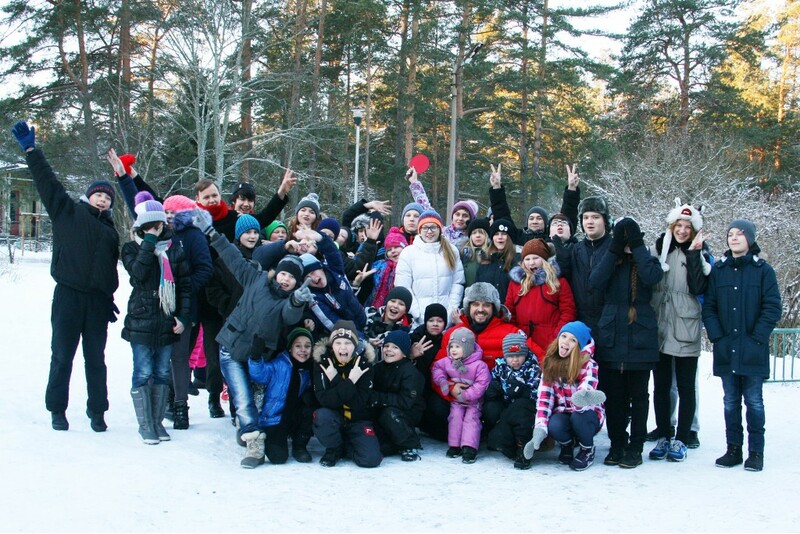 It is important for our family that the child very, very much wants to be in the camp again next year! Спасибо, Вам огромное!!! Ждём на все каникулы!!! This was his son's first trip to a children's camp. My son spent two weeks there (they were taken earlier for personal reasons). 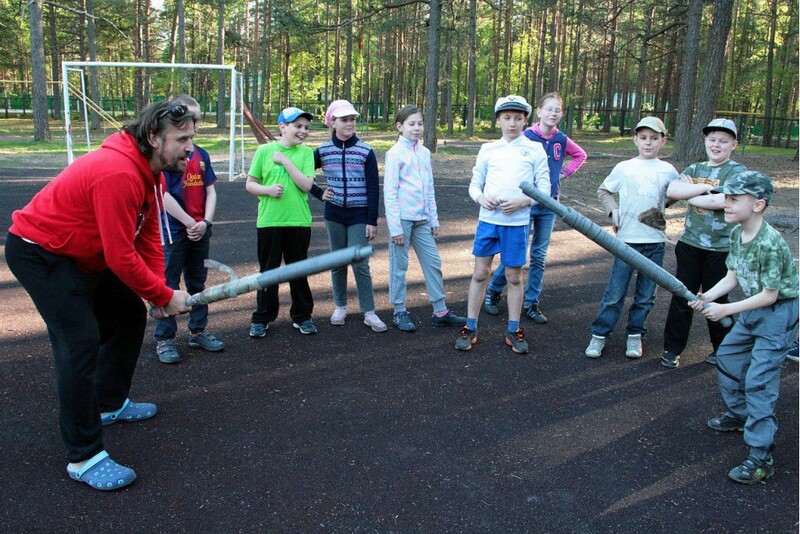 Impressions from the camp are good, he told me that many interesting circles, I liked the obstacle course and training. Power was praised, and for me it is an indicator because in food the child is finicky. I would like to thank Andrei Mikhailovich and Igor Vasilievich. All issues were resolved promptly. About the shortcomings are not heard. Анна Игоревна, нам очень приятно! Рады что ребенку понравилось!!! Приезжайте к нам ещё! My daughter very much liked her. Thank you for the wonderful program! I did not see any shortcomings. 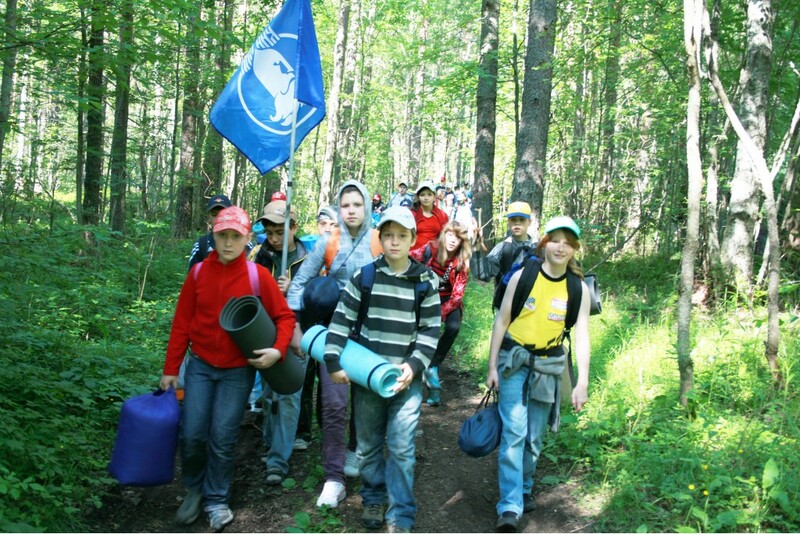 Of the advantages it should be noted that the camp is located in the forest zone, fresh and clean air. 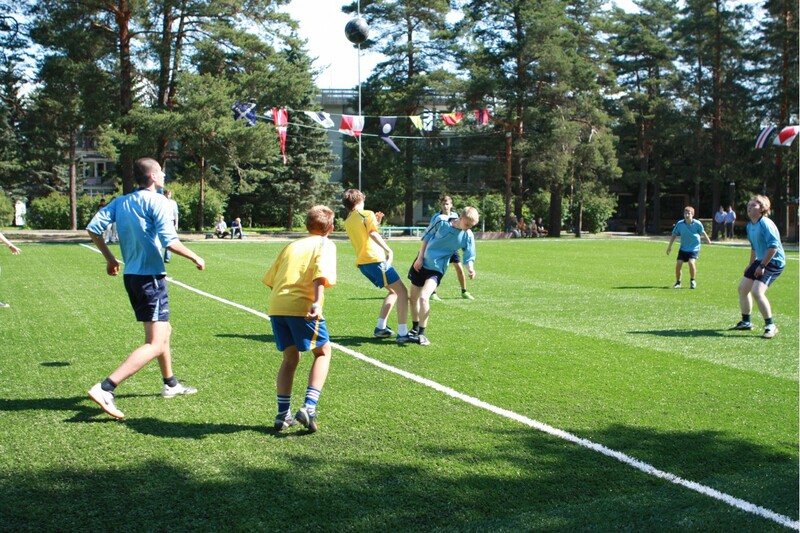 Many sports games and competitions, make pastime fun and exciting, and that is not a little important for health. 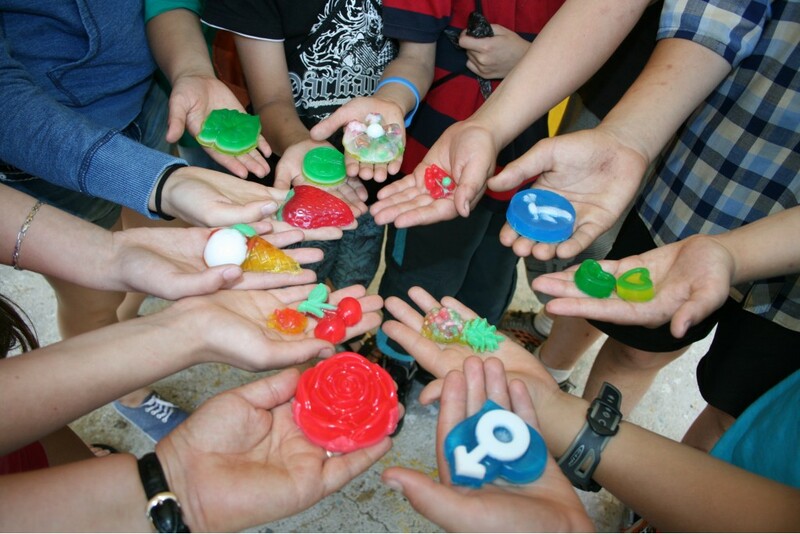 There are a lot of handicrafts on the territory of the camp, so it was not necessary to miss the child. They were disappointed by the very condition of the Holiday Village. Territory of the camp in a deplorable state. Tribunes on the football field broke when parents began to sit down to watch the performance of the children. Immediately there was a ruler and the carpenter sawed off old boards and nailed it to somehow restore it. 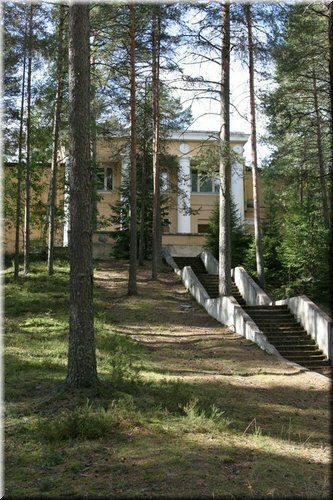 About the building where the children lived, we can not say anything bad, but Soviet-built, but inside it's cozy and nice. Furniture is certainly not new, but for children this is not a problem and in principle, nothing terrible. The houses in which the circles are located have disappointed, their condition is simply awful. The study rooms are still nothing, but the stairs are broken, there are no rails, and toilets on 1 floor (((Conclusion: no one is engaged in the lighthouse base, given the fact that the money for the shift is far from small, I would like better conditions for our children. We understand that the Kyi-biys there only rent the territory, they are very grateful to them, all from the leaders to the coaches are big umnichki. The son rested, 11 years old, the spring arrival, the accommodation was pleasant, the food was pleasant all the time was busy, the phones were taken for the night, which was very good for us, I called back every day. 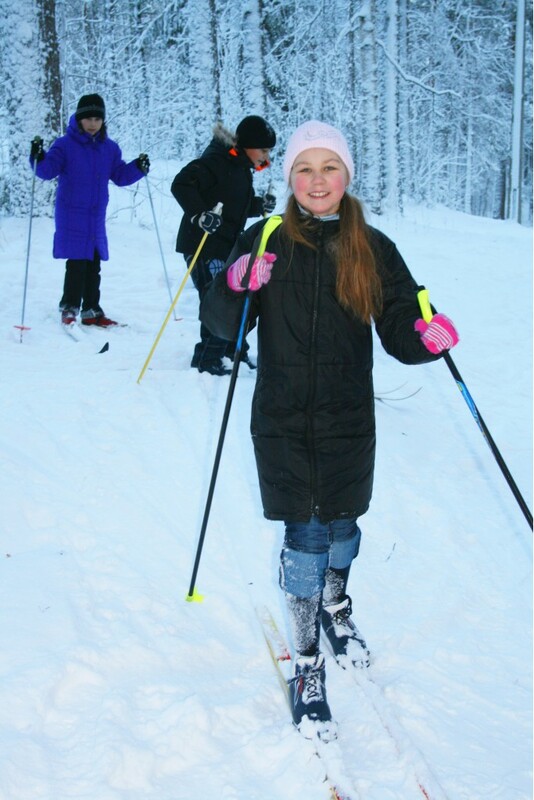 According to the child, it was fun, learned new tricks, cheesecakes, skis. The settlement was at an age, so it was comfortable putting 5, the child is happy. The child liked everything. Excellent living conditions, rich program, attentive and sensitive staff. Comfortable living conditions, good food. Educators followed the behavior and safety of children. Everything is great. I can not say anything about the shortcomings of the camp. But it is interesting that in the camp the shortcomings and shortcomings of our home education of children were manifested. 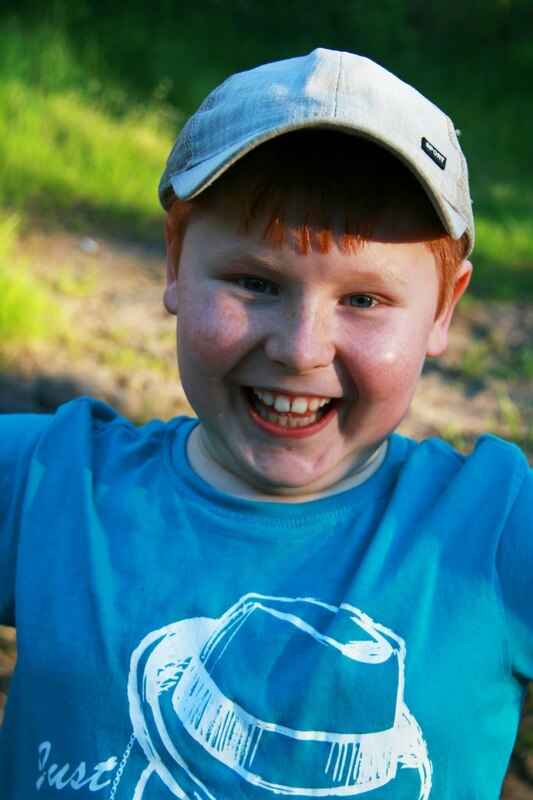 As my child confesses, he and his friends did not wash their faces and brush their teeth throughout the winter shift. Well, then we have formed in children an understanding of independence and freedom. My daughter spent 9 years. We went for the first time. Accommodation conditions are good, the toilet and shower in the room, for me it was important. Fed, according to her daughter, very tasty, there were many on the air: skis, cheesecakes, etc. Thank you. My daughter, 9 years old, rested. After not arriving from the camp, she began to ask for the next shift. The child is completely satisfied. It all arranged, that's why I, too. The day is completely busy, a lot of time on the air, a lot of moving classes. Conditions for living comfortable. There were no obvious shortcomings. 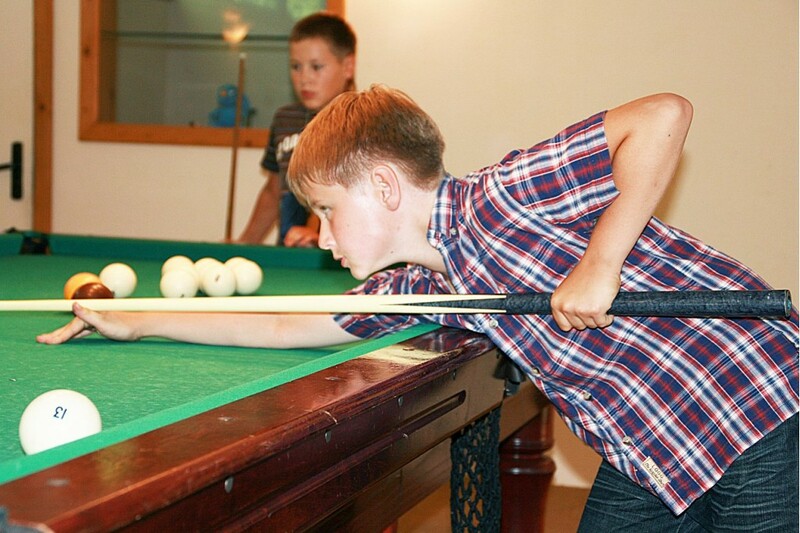 The son really enjoyed it, good accommodation conditions, helpful staff, food at the level. Thank you. 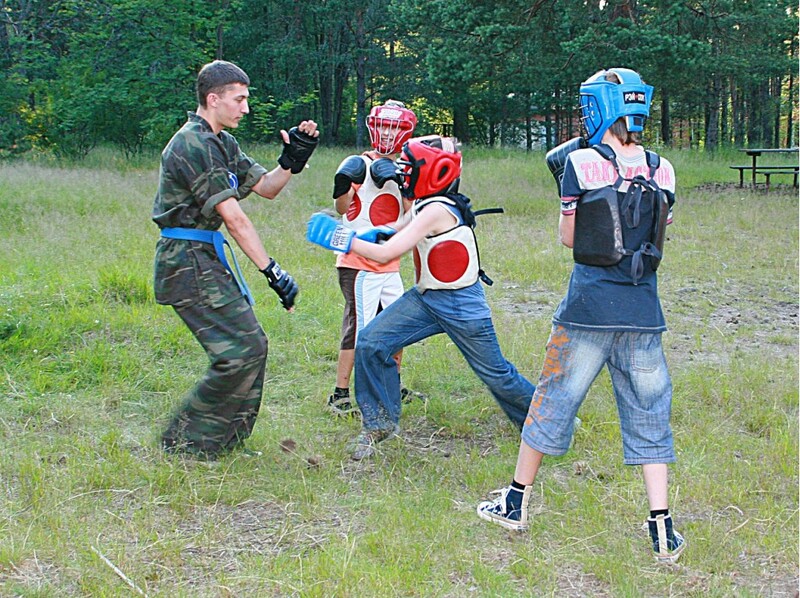 A lot of time spend in the fresh air, professional trainers and counselors. My children want to return only to you, this is the highest score. I would like a little more comfort in living quarters. 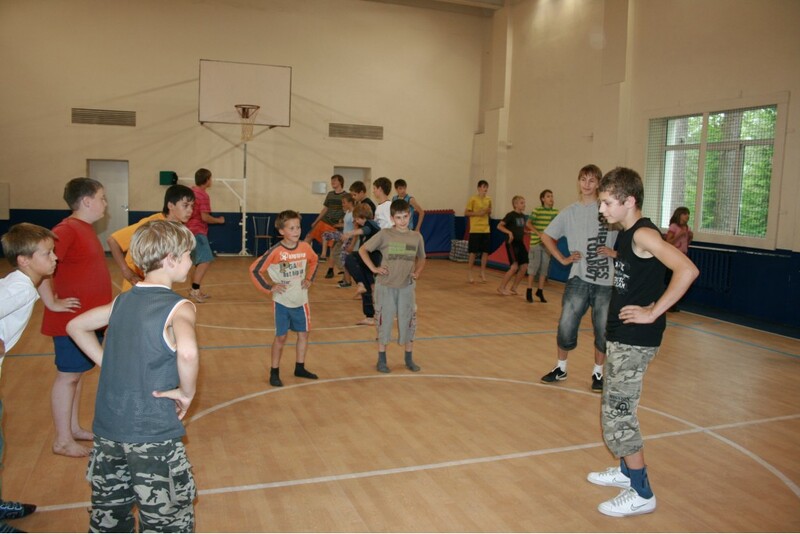 Sports activities in the fresh air and in the hall. One-day hike with tents. 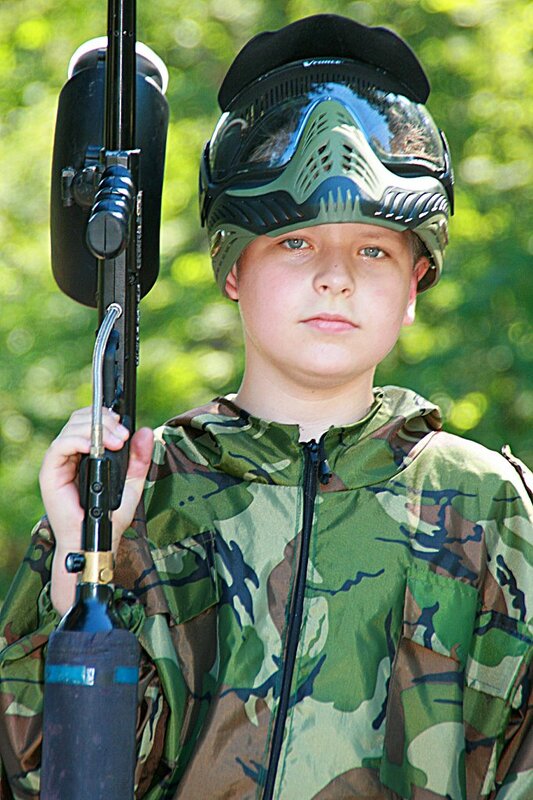 Paintball training. The child was pleased with everything, there are no shortcomings for us. The child really liked it, we will come again! At the beginning of the shift, the dishes were cold in the dining room, but then without any complaints. The child did not talk about the shortcomings, hence - for me they are not. 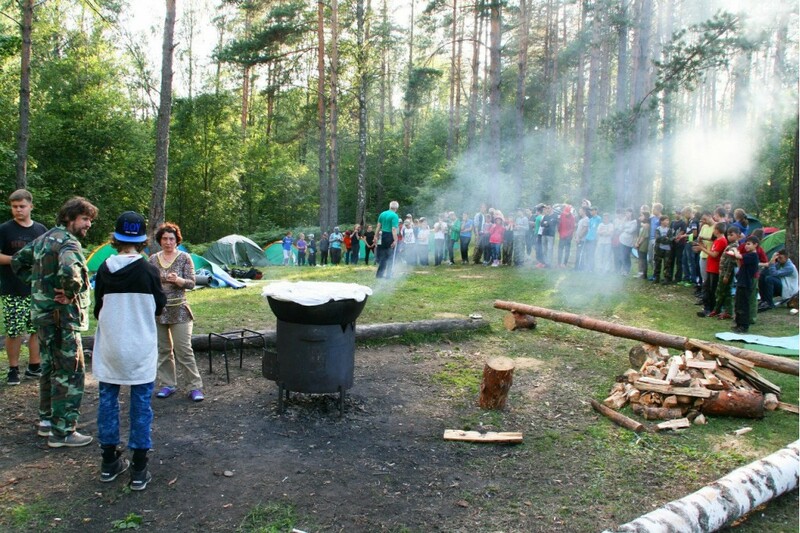 A wonderful camp, we liked everything, thanks to the organizers. 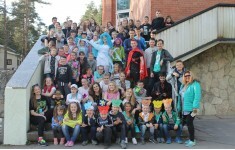 A busy program, children are busy all the time, excellent accommodation conditions, a rich program, attentive staff. Interesting program, a lot of games. Children are constantly busy with something. Furniture could be gradually changed to a new one. 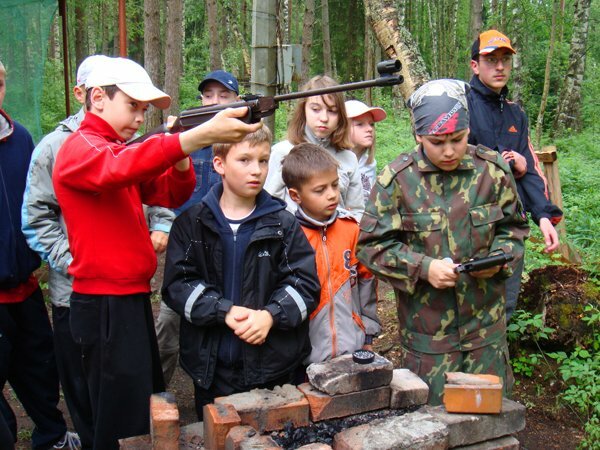 Only the front part of the camp is equipped, behind the main building there is another territory that is practically not used and is not supported. Everything was good, Maxim liked it and he became a little more a man. 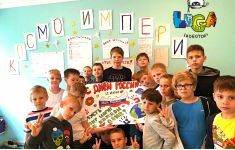 Many thanks to Andrei Mikhailovich and his assistants for the warm and sensitive attitude to the kids and for the patience! Keep it up! 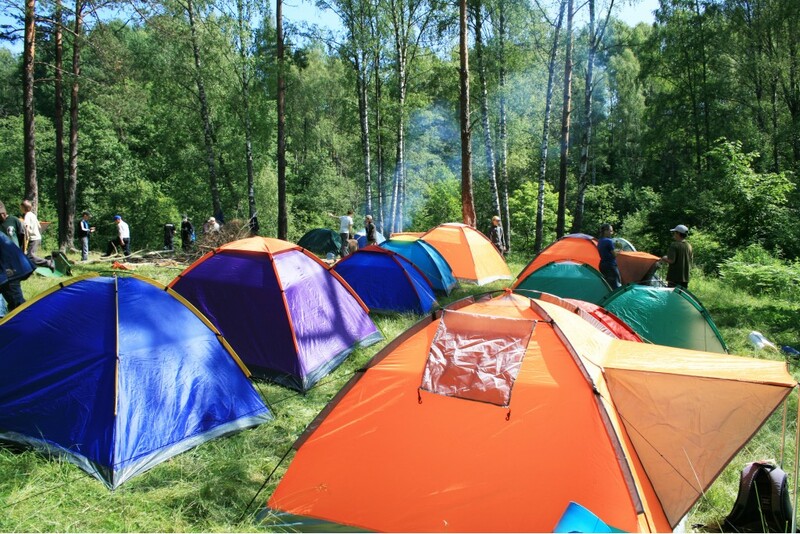 A good large well-equipped camp site, interesting developmental activities and competitions in the camp, safety and personnel at a high level. The child is satisfied and healthy! Thanks to the great staff for the warm and attentive attitude to the children! 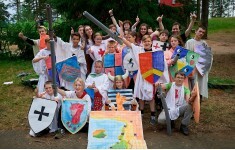 The wish is to organize a trip with an overnight stay for children. 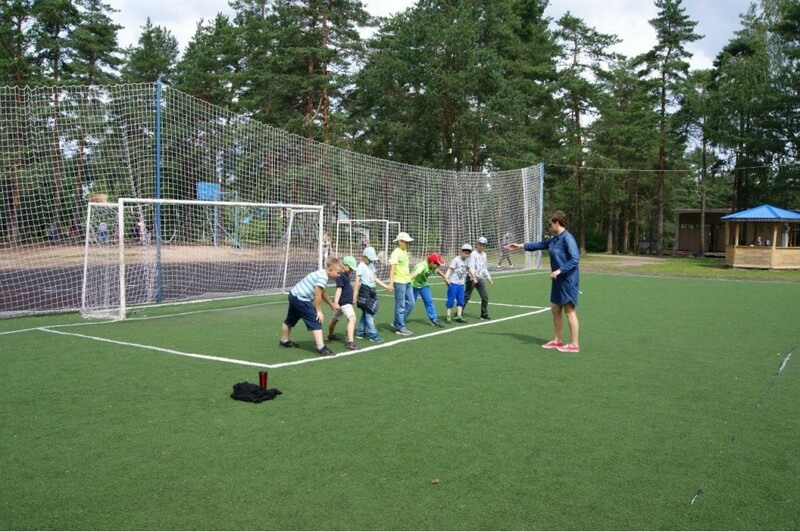 Excellent territory, good food, constant employment of children, an interested coach, a clear organization. The child came very pleased. 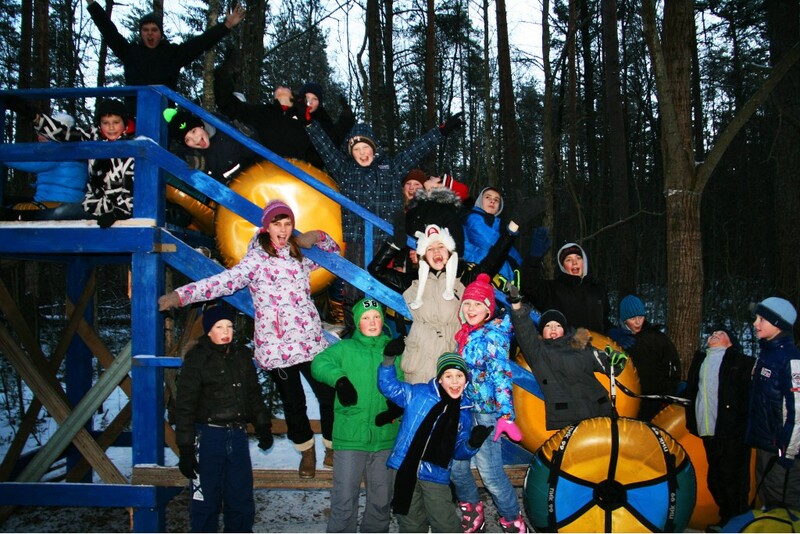 A wonderful camp! 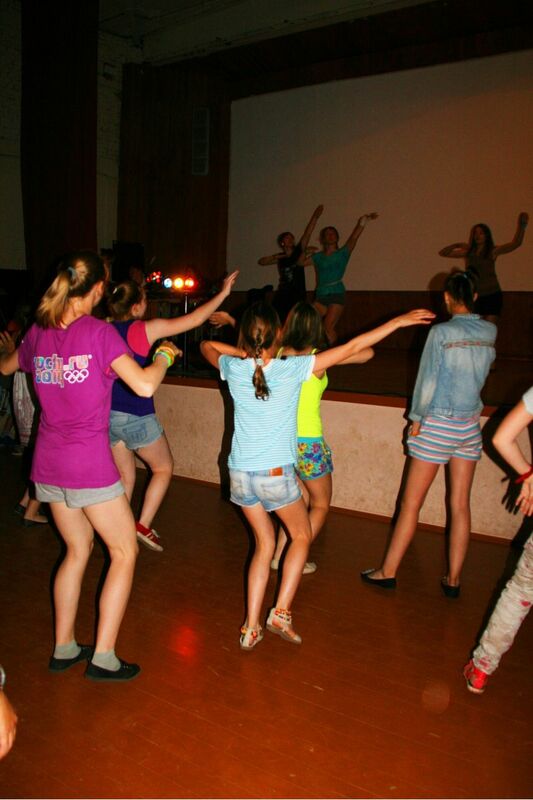 My daughter is 11 years old, she said that this is the best camp! Excellent location, good location and good food. 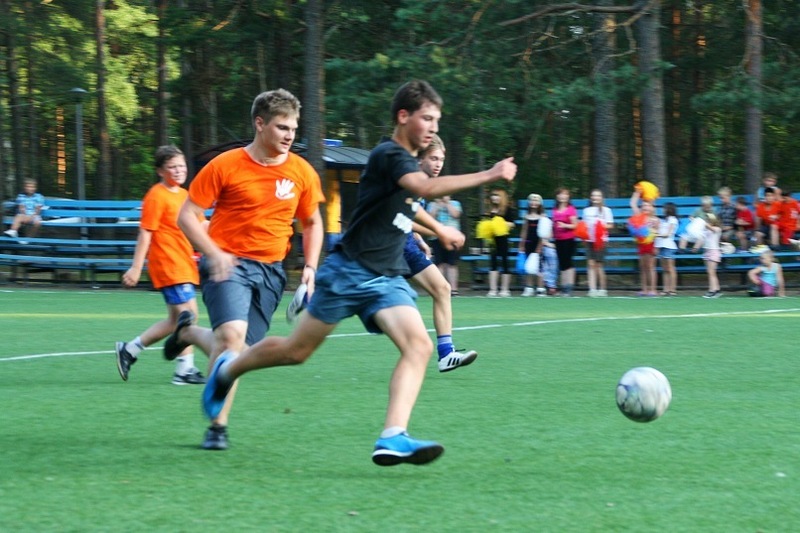 I liked very much that I spent a lot of time in the open air and there were a lot of moving games and competitions! 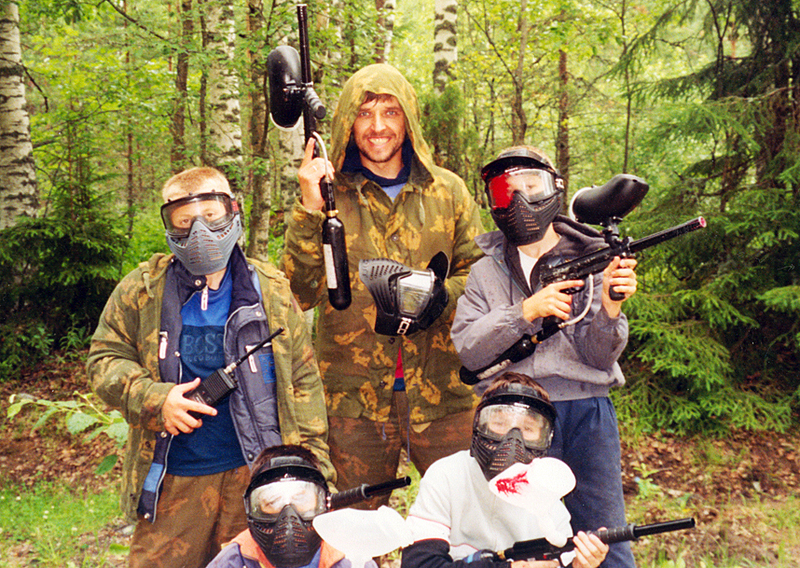 Paintball certainly made the strongest impression, thanks to the great organizers and coaches! For a kind, warm and attentive attitude to children! We will come again necessarily! How nice ... Thanks for the feedback! Come to us again! The child is happy, healthy. 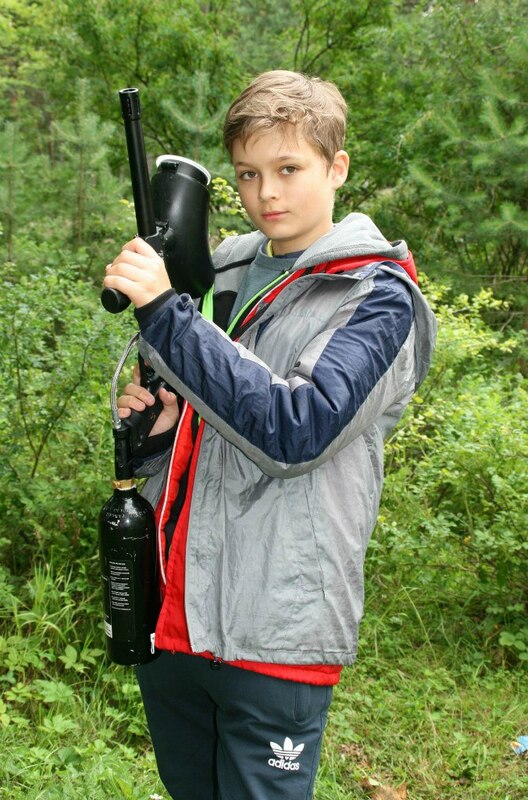 Nedovozlo with the weather (spring shift) did not play paintball. Thanks for the feedback! We are glad that you liked our camp! Yes ... the weather was not lucky. 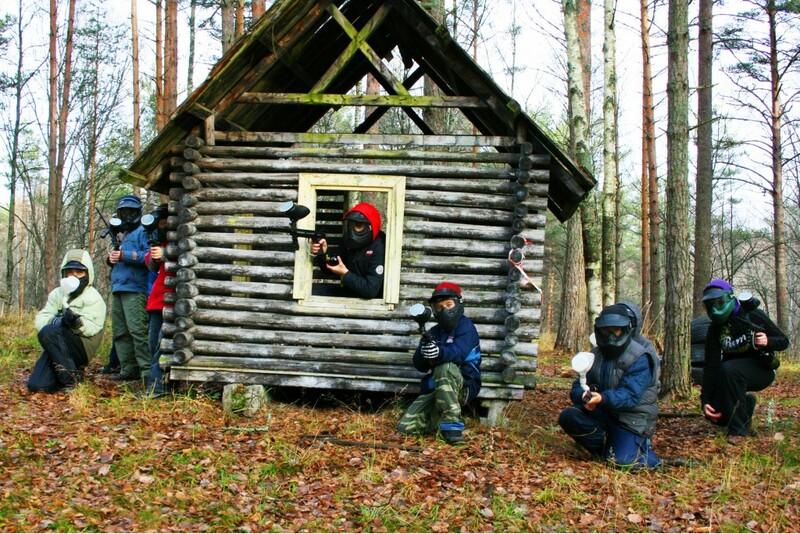 On the spring break, it is not often possible to play paintball in full. We will wait for you in the summer! Usually, closer to the end of the summer shift, more than half is tired of everyday paintball! To all the organizers, thank you so much for the spring holiday of my child. Our son is not very active in life and such a regime as in the camp, for him it is very active, but the child came very pleased and happy, with a bunch of impressions and positive. 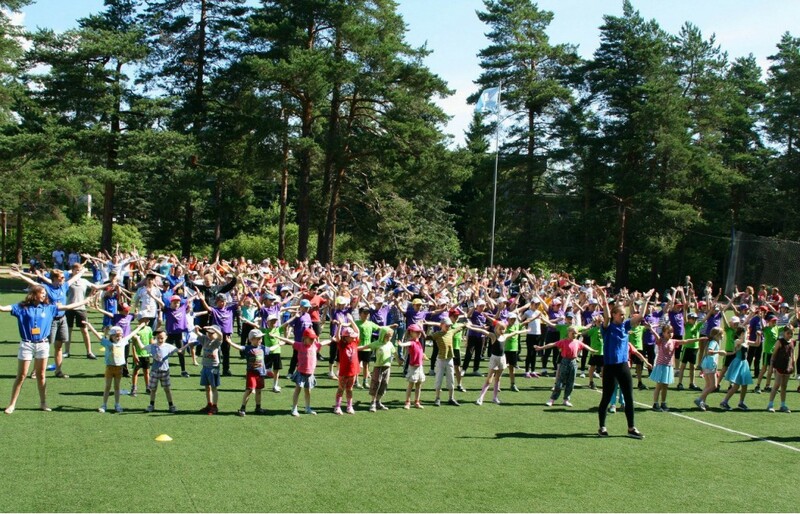 The camp is excellent, active, a lot of entertainment and a sportive attitude for children, which is very necessary for our youth. Thank you for the kind words! We are waiting for you again! The child is happy. Excellent accommodation conditions. A successful company in the room. The child was busy. Despite the frost and weak health, he returned healthy and rested. TV and gadgets in the room. Because of the weather, they did not ski (there was no snow). Thank you for your kind words: a healthy, happy child and happy parents are our main task. We are waiting for you in our camp for all holidays! 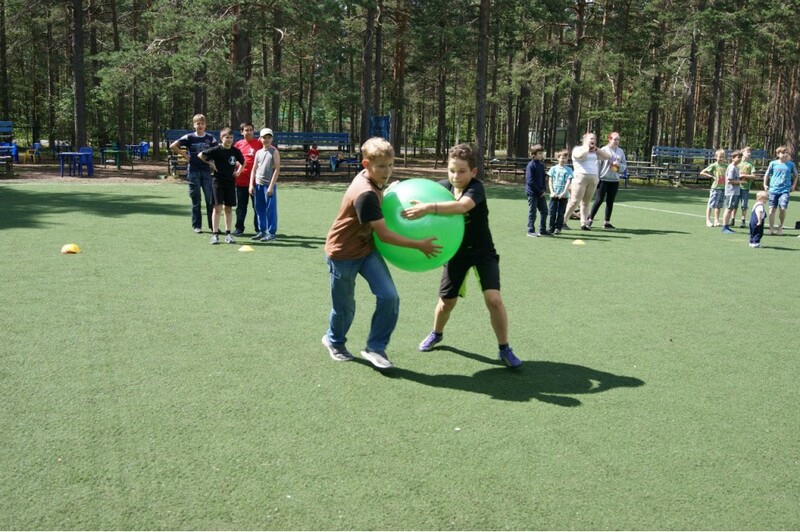 Good conditions for accommodation, many circles (the child did not miss), interesting competitions. 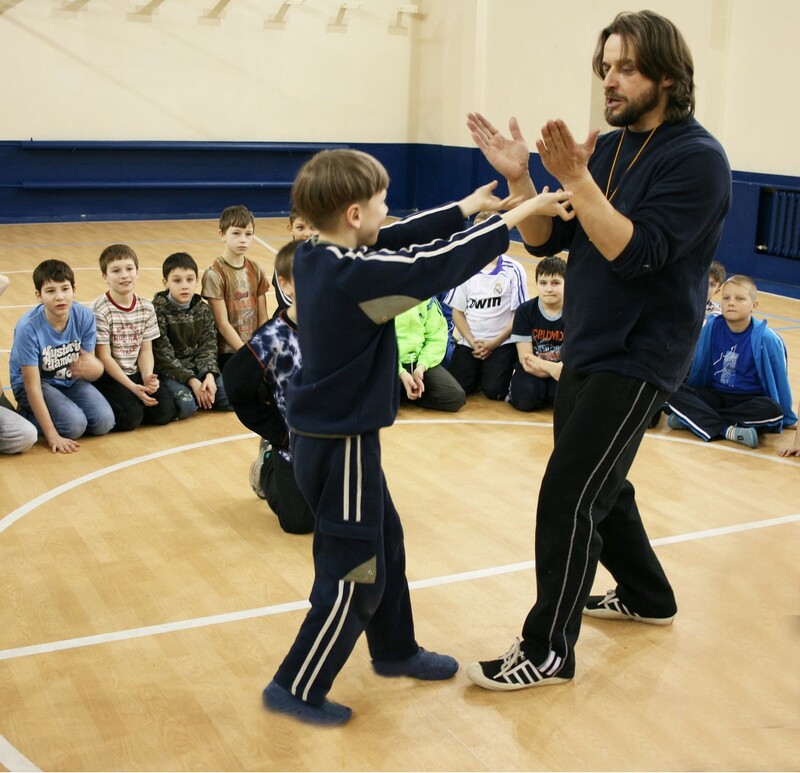 We are glad that, despite the unfortunate trauma, Kostya liked our classes and competitions. We are very sorry for what happened and apologize for the oversight. The fact is that during training, Kostya unsuccessfully hit the ball and complained of pain in the finger only at the time of the incident. During sports activities, such things happen quite often, and since after training he no longer complained of discomfort in his hand, the coach did not give it due importance, especially the case occurred a couple of hours before departure. Again, we apologize for the whole team! 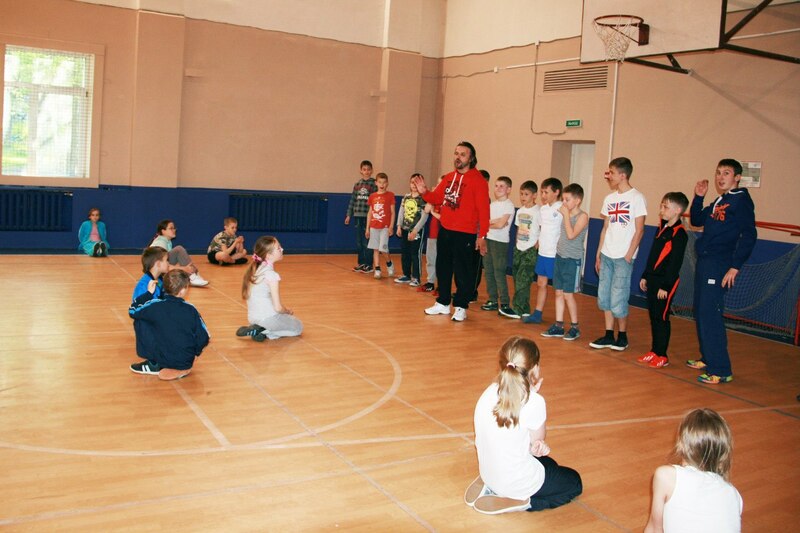 We hope to see Kostya again in our camp !!! Do not look after the health of the children: the sick child was not sent home, not isolated, as a result, my child who was in the same room with the sick, came with a temperature and now sits at home with the flu. It is unfortunate that Ilya finally fell ill. Unfortunately, no one is immune from the viruses and 3 people fell ill during the shift. All ill children were examined by a pediatrician, all were prescribed treatment and recommended to continue to be treated for a cold at home. Two children were taken away by the parents during the day, and the third was sick on the eve of departure. Since the family does not have a car, Mom decided to meet him at the bus with all the children. In the end, all three were sent home in less than a day. Also, we have a rule (I hope Ilya will confirm these words): after each meal (at least 4 times a day), at the general meeting, the coach asks: "Does anyone have a complaint about health? ", And with all of them with minor problems the children are taken to the medical office for examination. 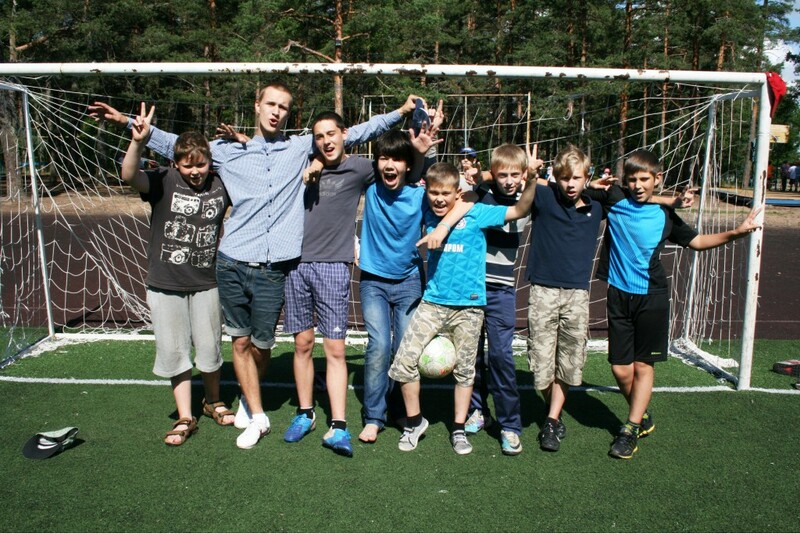 Nevertheless, we are very glad that Ilya liked our camp and hope to see you again! Many thanks to the trainers, thanks to whom despite my 22-degree frost, my child came back contented, cheerful and, most importantly, healthy! it seemed to me that some boys "are not clean on hand", but this is not a problem of the camp, but of the children and their parents. 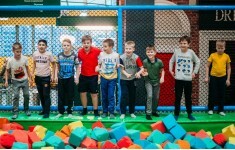 We will continue to keep the level of organization of children's recreation at a height. The child is happy, I also liked it. Repair in the rooms would not hurt. Good afternoon Svetlana Vladimirovna! Thanks for the feedback. Very pleased that you liked it. 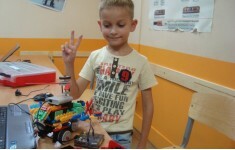 We will transfer the wishes for the repairs to "Mayak". Excellent living conditions, good team members. It's great that the children are always busy. Particularly commendable is that there are many sports games. I would like a little more circles-homemade. Dear Elena Abdulganievna! Thank you for choosing the camp "Kiy-Biy" and your feedback. We will be glad to see your child for the next vacation! Very good location-pine, clean air, silence. Excellent work of trainers, counselors. Liked very much! Thank you for your feedback, we are very pleased that the holidays in the camp "Kiy-Biy" left a positive impression on your child. Excellent territory - in a pine forest. Good accommodation (3-4 people in the room) and amenities in the room, many interesting sporting events, "cool" counselors. Natalia Alexandrovna, thank you very much for your feedback! We will try to take into account your wishes. We are waiting for you again! I liked the child, I agree to go again. The food is excellent. Living conditions are normal. The program is very developing. Thank you all the leaders for your patience and work. Elena Alexandrovna, thank you very much for your feedback! We are very glad that the child liked it, come to us again! Good location-around the pine forest, protected area. On the basis of the Lighthouse, blueberries and strawberries grew on the territory of the camp, the children gathered hats :) Accommodation in apartments for 4 and 7 people, amenities in the room. 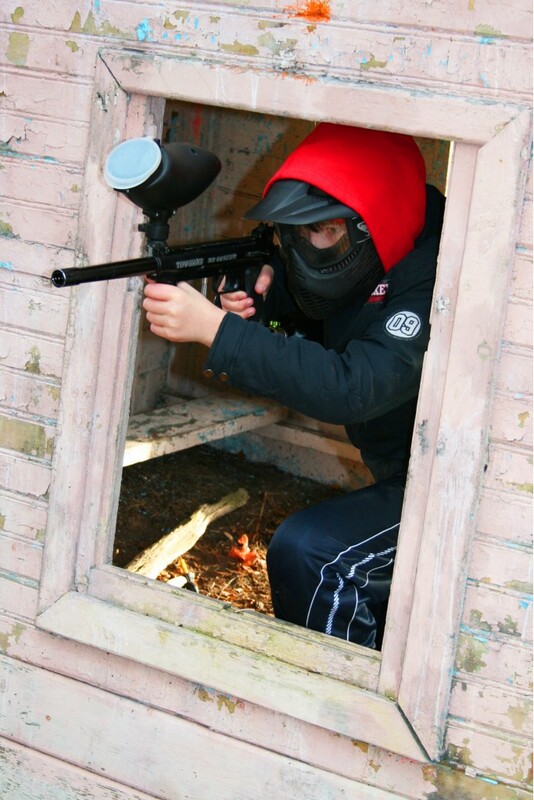 Paintball, sports entertainment, children are constantly busy with something interesting. Children really liked it, even though by the end of the shift the weather had deteriorated. 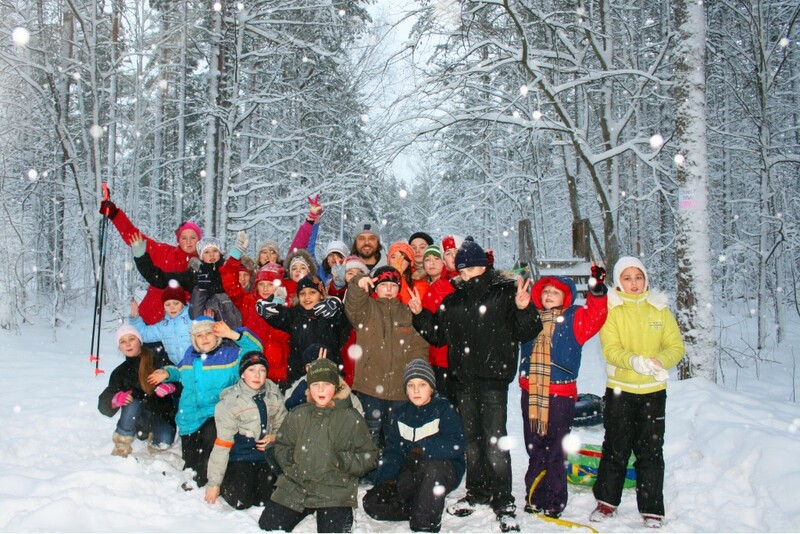 It is interesting for the child, good living conditions, an excellent program. Not very good living conditions. Anna Viktorovna, thank you very much for your feedback. Very pleased that you liked it. We'll wait on all holidays !!! My 15-year-old son really enjoyed it. I do not know the details. The food is delicious, interesting classes. Natalya Sergeevna! Thanks for the feedback !!! Come to us again!!! All perfectly! 14-year-old teenager is delighted! We already plan autumn, winter, spring and next summer. employment, a variety of activities, games, openness, sports games, Kiy Biyu solid five with a plus. Trainers done well, my children (a boy of 10 years and a girl of 12 years old) ask to go there again, and my kids are not easy, and the transition age is difficult. I'm very grateful to the coaches. 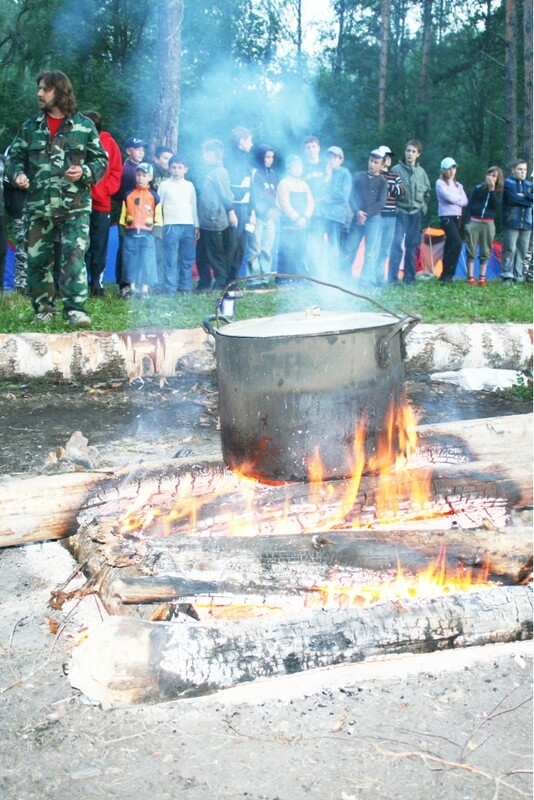 Write about the conditions of everyday life: believe me, the children were comfortable, nourishing, not to enter the camp territory - thanks to the guards. Good afternoon, Ekaterina Mihailovna! Thanks for the feedback. We are very happy that your children we like) we are waiting for more and more! Yours faithfully, the camp administration. 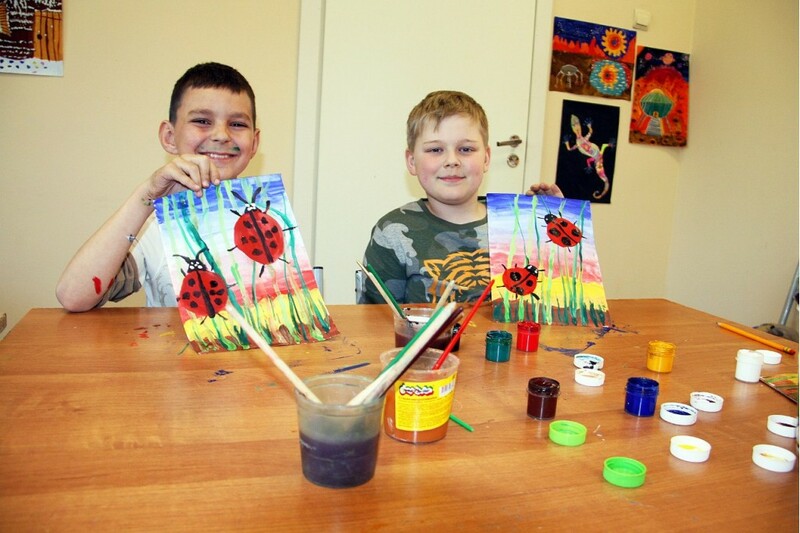 An interesting program, accommodation in rooms designed for a small number of children. Thanks for the feedback. We will be glad to meet on all holidays !!! The baby in the camp for the first time. Like. Only the third day, but the impressions are good. Even does not ring every 2 hours, is constantly busy, and with pleasure. You can always contact the administrator and resolve all issues. Excellent photos on the site! Thank you very much for your feedback! We are very glad that the child we liked. Be sure to come again !!! Son (7) was in this camp in the spring. I went for the first time in my life. On the first day I called every 15 minutes, on the second I called a couple of times and forgot everything. He was busy all the time, he really liked it and in the autumn, winter and the next year he needs to send it only there. It's a pity for this summer we already bought him tickets to other camps. We do not know. The child did not tell me about the bad. Quick registration, the organization of children's leisure is interesting. Nutrition liked it! A few guys in the detachment. Thank you very much for your feedback! We hope you will come to us for more than one year! Son (13 years) went on a winter vacation. The camp was pleased. They fed well, the living conditions were good, the lessons they enjoyed were pleasant. The counselor praised. 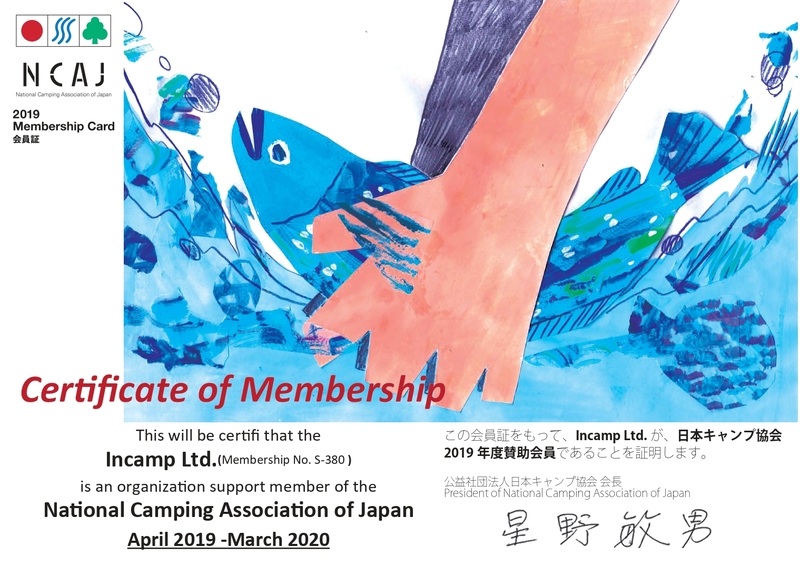 He said that he would like to go to this camp. About the shortcomings did not say anything. Thanks for the kind words!!!! We are waiting for you again !!! It was the first time. The child is completely ecstatic. I liked everything: entertainment, food, accommodation. Ready to go again. Thank you! Come to us again!!! Thank you for such a high rating !!! 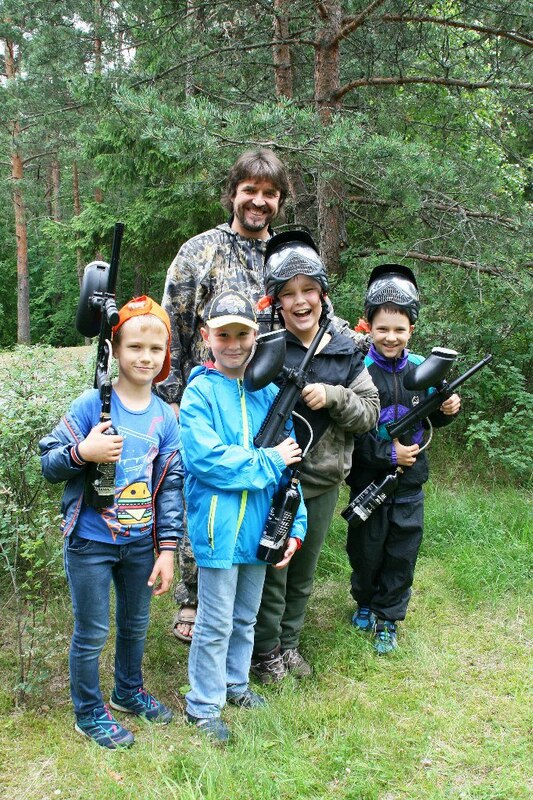 Comfortable living conditions, fresh air, interesting activities, paintball. Especially liked the morning exercise with push-ups! Delicious healthy food, team spirit, optimism! I want to note that I really liked the timely reflection of the camp life in the photos in the group in Contact - immediately it became calm, looking at the happy faces of the children. The child wished to go again! Комфортные условия проживания. Постоянная занятость детей. Нацеленность на физическую подготовку и выработку командного духа. Организация родительского дня за 3 дня до окончания смены. Персонал столовой встретил трехэтажной руганью желание родителей посмотреть, чем кормят детей в родительский день. Excellent living conditions. We did not notice any problems in the room. 4 boys lived in a block with an entrance hall, kitchen and a bathroom. All the furniture and plumbing are quite new. The program was full, the child liked it. The administration was always in touch, immediately responded to requests and wishes. Thanks for the high rating !!! Thank you! We are waiting for you again !!! 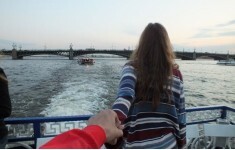 The son in "Kiy-Biy" went for the first time, very much. Children are always busy and do not remain unattended. Many thanks to the coaches and their assistants, helped to adapt the child. Furniture and plumbing to the rooms leave much to be desired. Daughters (11 years) vacation with Ki-Biya really liked. I got bored of the camp the day after my arrival. All the time she said that in the camp it would be at this time. With pleasure I attended sports classes and a drawing circle. I brought home two interesting pictures. 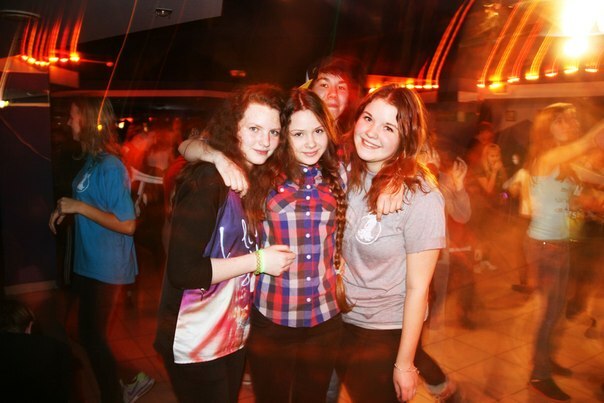 She made friends with the girls, with pleasure she remembers tea-parties and discos. Changing beds - unhygienic - in the armchair-bed to sleep uncomfortable, but the second bed is wide. Mayak administration needs to think about buying the right children's furniture !!! Thanks for the feedback! 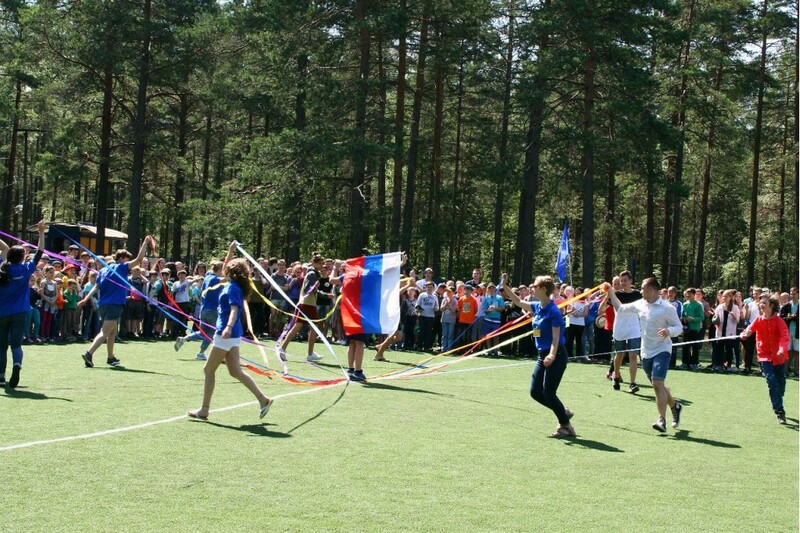 Your wishes were given to the leadership of the Mayak camp. Sincerely, the team of the sports club Kiy-Biy. 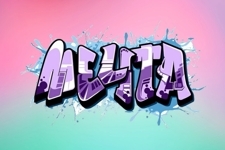 Saturated program, games, competitions, circles on interests. Unfortunately, I had to leave before the end of the shift due to illness, but this is not to the camp claim. This is our first trip to the camp. Before that, I did not go anywhere. I really enjoyed it. And the program and nutrition (from the words of the daughter, it's delicious as in the kindergarten). In the room, apart from the beds, there were folding chairs. Children changed places in the night (on the armchair inconveniently to sleep). Thanks for the feedback! 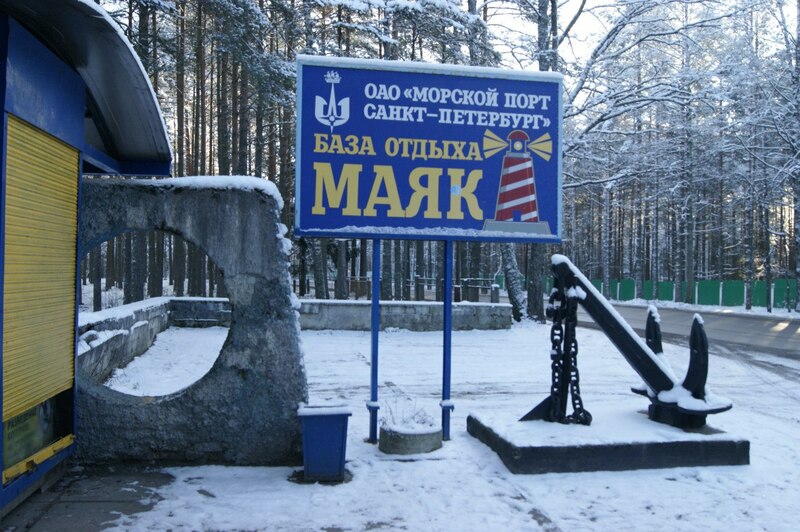 All your wishes and claims were transferred to the leadership of the Mayak camp. They promised to fix everything by the beginning of summer shifts. 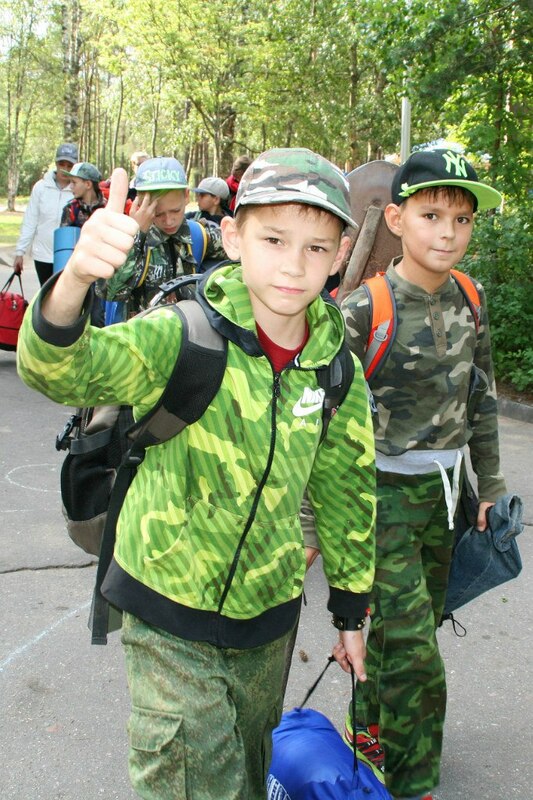 The son (11 years) went for the first time to this camp. Impressions are the most positive. Morning exercise took place on the street. The kids were busy all the time, spending a lot of time in the fresh air. And not just wandered, breathing air, but were involved in games, fun contests, and not left to themselves. A lot of different interest groups. Control of the discipline, along with the teachers, was carried out by their assistants, the guys from among the tourists who had already been in the camp many times, quite responsible, demanding and sensible. I want to tell the trainers and educators many thanks for the kind and considerate attitude to the children. And I would also like to express gratitude to the administrator of the VKontakte camp group for interesting and full photoreports. 1. The state of the bathroom: dirty rusty bathtub, which was unpleasant to stand with bare feet and take a shower. 2. As a wish to educators and their assistants - to control the order and cleaning in the rooms by the children themselves. The son (13 years old) was in this camp on the spring break. He remained satisfied. The company of the children has picked up on interests. I went to sports and drawing. The son asks for a summer vacation in this camp, tk. there will be buddies from the spring shift. The regime was not particularly watched. Arrangements in the room until 1 am. Plumbing in the room with rusty stains. The room is dirty. A couple of days before the end of the shift, the son was poisoned in the dining room. And the neighbor on the number got into the isolator because of food poisoning. On the first day of arrival, the dinner consisted of poorly fried fish. Dear Olga! After a lapse of time, we still decided to write your comment on your feedback. First of all about the camouflage uniform. We never required the children to have special camouflage clothes! In the list of necessary things only "street clothes that I do not mind getting dirty" are listed. 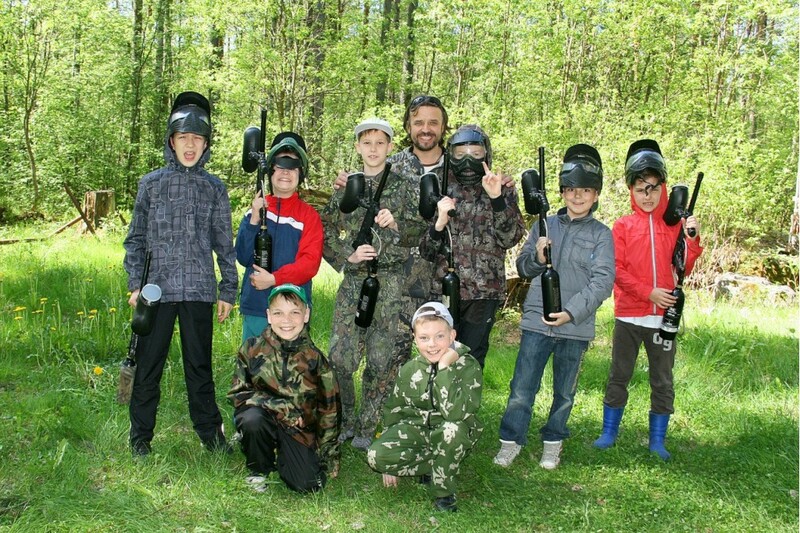 In addition, during the spring holidays, paintball was possible only at plus temperature and in the absence of snow (as indicated in the program). Unfortunately, with the weather this year, no luck, the first day it fell snow and hit the frost. 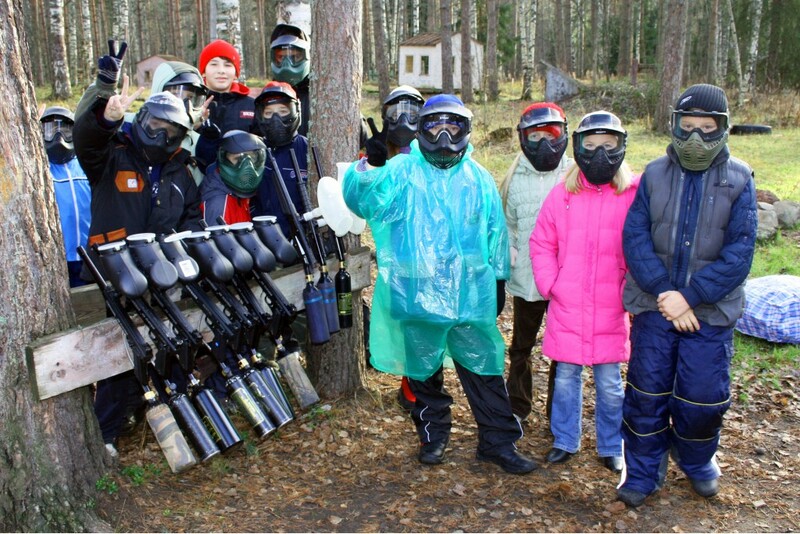 But, despite this, we still conducted two familiarization classes on paintball, although we should not have played well! Now about poisoning. Yes, indeed - in the middle and at the end of the spring shift, several children got sick, but it was not poisoning (then everyone would fall ill in one day), but rotavirus infection, which, unfortunately, as doctors say, no one is immune! We are very sorry that not everything was 100% successful, but we are glad that your son liked our camp! WE ARE WAITING FOR YOU AGAIN !!! We went to the spring shift 2015. The child liked it) The feeling is ... commune, or something. Older children help the leaders, look at the younger ones, deal with them. In the street spend maximum time, if only the weather allowed. 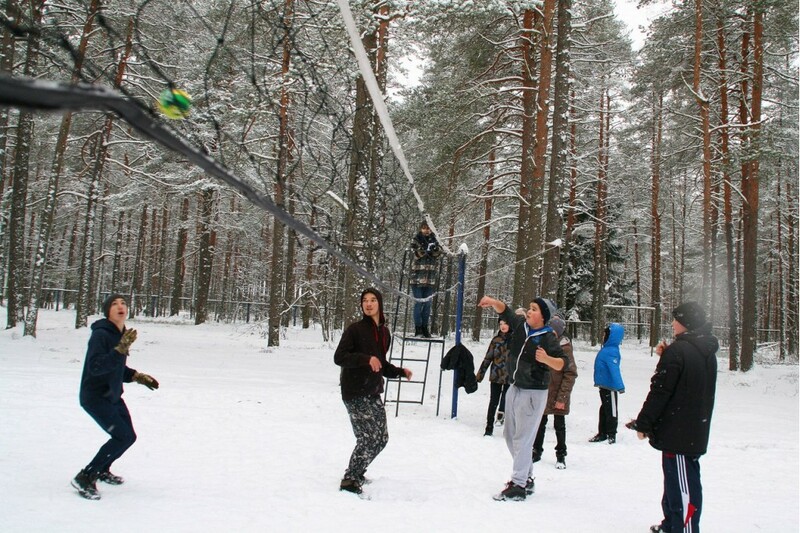 Their activities are interesting, games, freedom, like, but with discipline. Handles in the toilet / shower door could be repaired ... even by ourselves - not a big problem. Well, insist on the order in living quarters) In some rooms clothes on the floor are lying around. Some young people from the senior and secondary do not always follow the lexicon and smoke. Keep track of this, of course, difficult, but it is possible and important, in my opinion. I would also like to have more adult leaders on the shift, maybe I'm wrong and I just thought, but there are a lot of responsibilities on the senior guys - the helpers of counselors, they may not be able to watch something, after all, teenagers. Thank you! Let's take note of the comments! My son (13 years old) went to this camp for the autumn vacation for the first time. The program was very interested. According to his son, everything was very pleasant, he did not have to miss, he said that he would gladly eat more. Thank you! 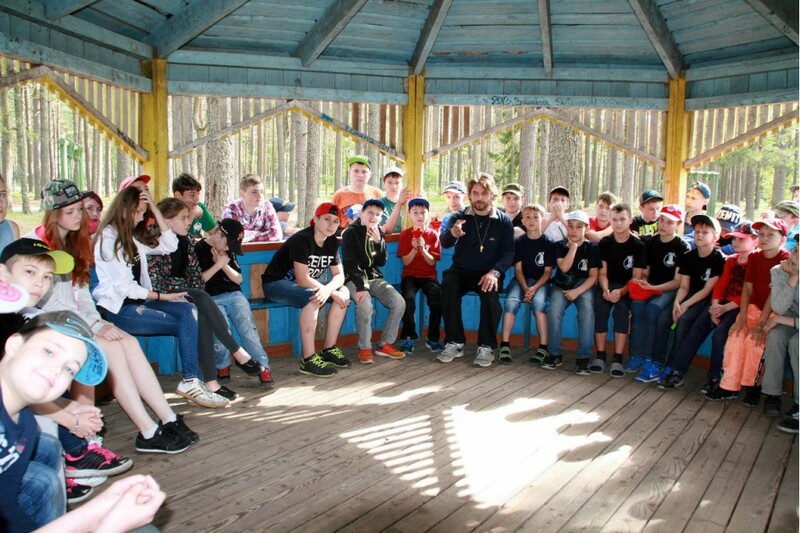 Many thanks for the autumn vacation to the camp "Kiy-Biy"! My daughter really liked the autumn shift. Despite the rainy weather, the children were constantly engaged in games and competitions. Now only in "Kiy-Biy". Teachers are wonderful, thank you very much! I liked the camp. 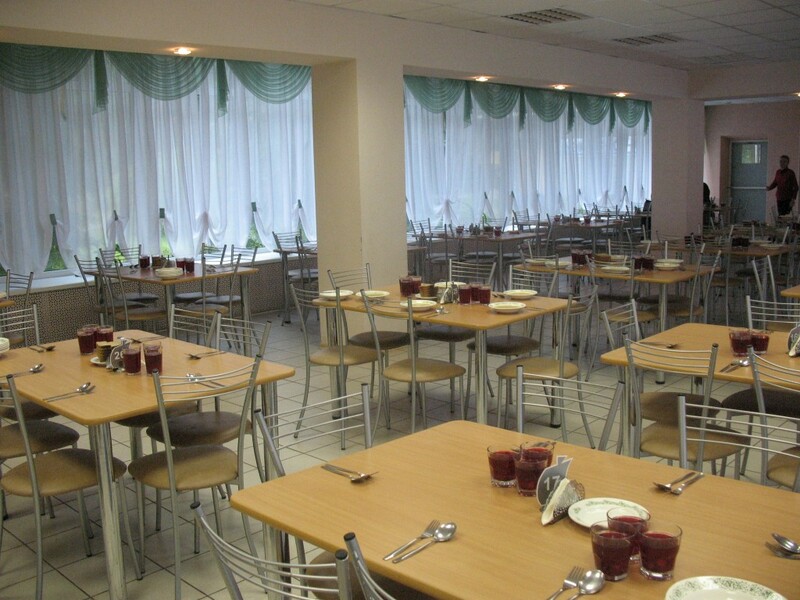 Food is good, accommodation - apartments with amenities, order-cleaned every day, plus cleaned themselves. The guys are busy with business, in any weather. Teachers are very literate, they use authority. 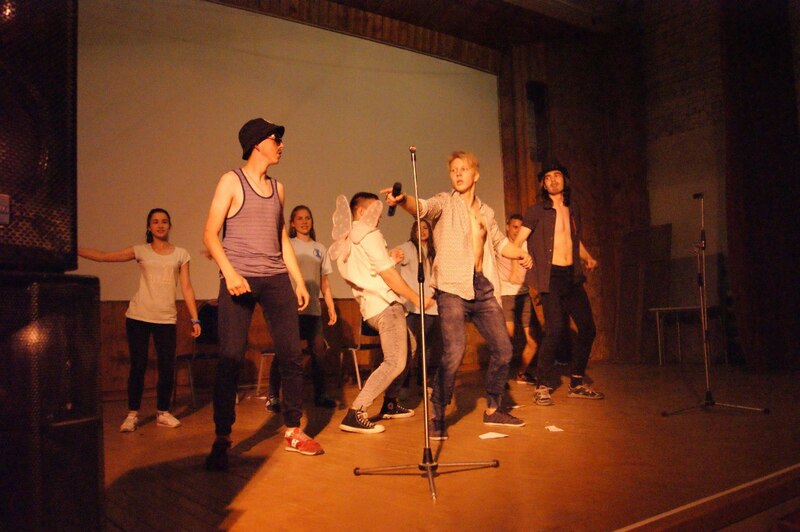 My son liked it, even decided to go to the club "Kiy-Biy" in the fall and dreams of becoming an assistant counselor. Living conditions as a recreation center: separate apartments with all amenities: shower, toilet, refrigerator, TV, kettle, etc. At the same time, children are constantly engaged in something, and are not left to themselves. Let's go once more, definitely. Separate residence is a little apart, but it teaches us to be independent. In general, this minus gives a plus in the end. She did not see any other shortcomings. The leisure time of the child is well organized. Excellent counselors and trainers. The child liked it. Very poor cleaning of rooms. Thank you! We take into account the remarks. Thanks for the feedback! We are waiting for you again!